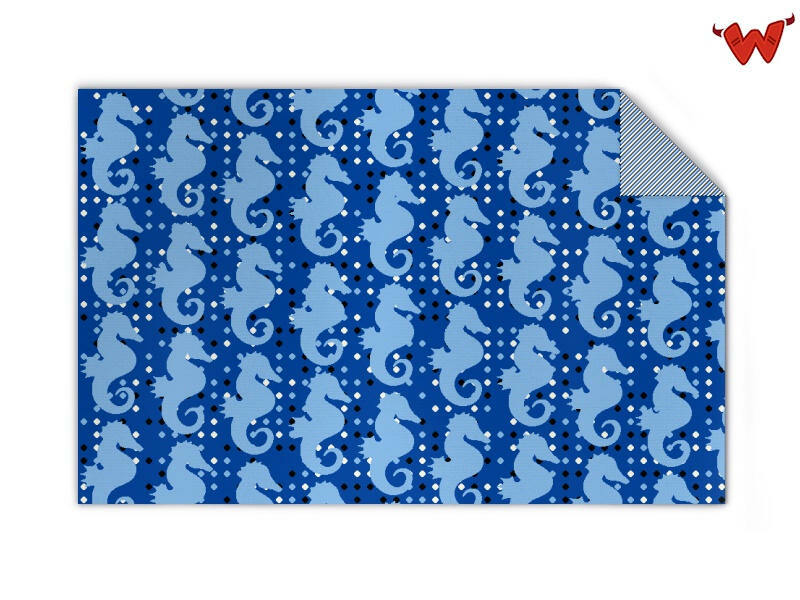 Edit design Kids blanket sea horse , or create your design from scratch. Knit blanket in kids size, made from merino blend yarn 50/50 wool/acrylic. 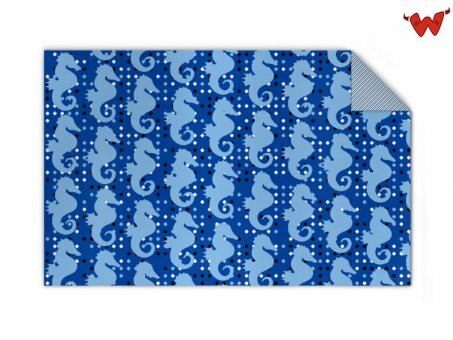 The sea horse pattern is knitted in, not printed or embroidered. Design you custom kids blanket online now. Kids blanket sea horse made to order with your custom design, text, logo. No minimums. Choose yarn from 100% wool extrafine, 100% organic cotton, 50/50 wool/acrylic or 100% acrylic yarn. More yarn quality info here. Choose up to four colors for this knit blanket from the yarn color palette on display. The backside of the blanket cannot be designed, it is twilled. The design is visible on the frontside only. Direct factory production in Stuttgart / Germany - WORLDWIDE DELIVERY!